Namibia has a wide and irresistible appeal. The country has bountiful sunshine, an abundance of wildlife, and intriguing variety of flora and fauna and a rich diversity of spectacular geological phenomena. The friendliness and cultural diversity of people and the extraordinary beauty of its landscape are further attributes, which make visitors return again and again. The following information provides more facts and explanations about the country. Namibia is a vast country. With its surface area of 825,418 sq.km, it is about four times the size of the United Kingdom and 27 times the size of Belgium. 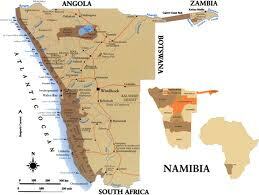 Situated along the Atlantic, Namibia border on Angola, Zambia, South Africa, Botswana and Zimbabwe. Namibia has a dry climate typical of a semi-desert country. Average day temperatures in summer vary from 20°C to 34°C and average night temperatures in winter from 0°C to 10°C. The country is divided into fourteen vegetation zones, ranging from several variations of desert vegetation, mopane, mountains, thorn bush, highland, dwarf shrub, camelthorn and mixed tree and shrub savannahs. Namibia’s abundant wildlife is possibly its greatest tourist asset. Large game species found in the country include elephant, rhino, giraffe and buffalo, as well as lion, leopard and cheetah. It is also home to impalas, antelopes, gemsbok, jackal and a wealth of smaller mammals. Namibia has a population of just over 2 million according to a 2008 census and an annual population growth of about 3%. The population density of 2.5 per square kilometer is one of the lowest in the world. Approximately 60% of the country’s inhabitants live in the north and about one third in rural areas. 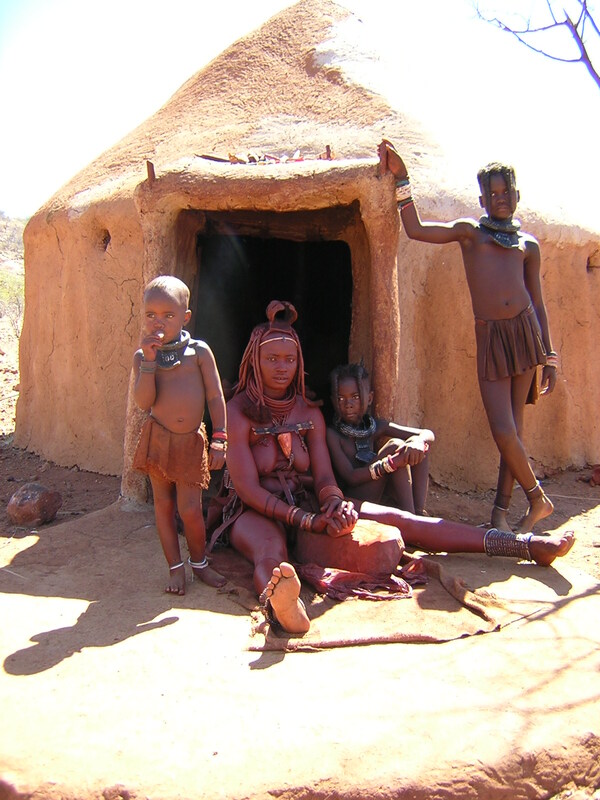 Cultural groups include the Ovambo, Kavango, Herero, Damara, Nama, Coloureds, East Caprivian, Bushmen, Basters, Tswana and Whites. The latter consists mainly of Afrikaans, English, German and Portuguese speaking people. While English is the official language, many other languages are spoken in the country and most residents are multilingual. During the war, many Germans were interned and as gymnastics was mainly done by men, this lead to the closing of many gym clubs, including those that had starting Usakos, Swakopmund, Karibib, Okahandja, Windhoek, Otjiwarongo, Tsumeb, Keetmanshoop and Lüderitz. In 1968, sport teachers from various schools met to form a School Gymnastics Union (Suidwes Afrikaanse Skole en Amateur Gimnastiek Vereniging). Schools throughout the country were represented - Grootfontein, Tsumeb, Otjiwarongo, Outjo, Swakopmund, Walvis Bay, Windhoek, Gobabis, Mariental, Keetmanshoop and Oranjemund. The first president of this Union was Mr Martinus Bakkes. Through a close working relationship with South Africa, Namibia started using their programs and gymnasts were classed into different age groups. It was realized that the schools gymnastics program was limited and so a new era in Namibia gymnastics was born. The SWAGA (South West African Gymnastics Association) was grounded with Mr G Kesselman and Mrs E Neumaister in charge. Gymnastics continued in this manner until 1990. After Independence in 1990, no sporting ties were allowed in South Africa for a period of 2 years. It therefore became a matter of sink or swim independently. SWAGA approached FIG and became members in 1992 under the new name of Namibian Gymnastics Federation (NGF). The Federation has never looked back and is now proud to boast sections in Women’s Artistic Gymnastics (WAG), Men’s Artistic Gymnastics (MAG),Rhythmic Sportive Gymnastics (RSG), Tumbling & Trampolining (T&T), Sport Aerobics Gymnastics (SAG) and Gymnastics For All (GFA).